Finding and securing government funding or alternative sources of finance can be confusing for many businesses. Whilst businesses want the external help to start up or grow, searching the vast number of government initiatives can be overwhelming, result in them giving up looking for help. In this article, we give an invaluable list for Gloucestershire entrepreneurs with growing businesses; describing the current offer, when it could be useful and where to find out more. Local businesses have specific local challenges or needs. Local funding schemes are a great way to access government funding that’s been allocated specifically for your area. Growth Hubs: Growth Hubs are a central local source of information, business funding, advice and guidance for business. There are currently 39 Growth Hubs, one for each Local Enterprise Area, (LEP) You can find the full list here. Current offer: Growth Hubs are public/private sector partnerships that make business support easier to access, simpler and more joined up. Growth Hubs provide a single point of access for national and local business support. What type of businesses they’re aimed at: Growth Hubs are aimed at businesses in their LEP area. When would be a good time/scenario to use them and why: If you would like some external advice on how to start or grow your business your local Growth Hub is a great place to start. Expert advisors can assess your business needs and then quickly connect you to the appropriate business support. They can even give you an up to date insight on what funding is currently on offer. Forest and Tewkesbury LEADER Funding: LEADER funding is open to applications from a wide range of organisations (including businesses) for projects which can demonstrate their ability to create new jobs and positively contribute towards the economic development of the Forest of Dean and Tewkesbury Borough. Current offer: LEADER currently funds projects across a number of areas including farm productivity/ diversification, business development, tourism/heritage, basic services and forestry. 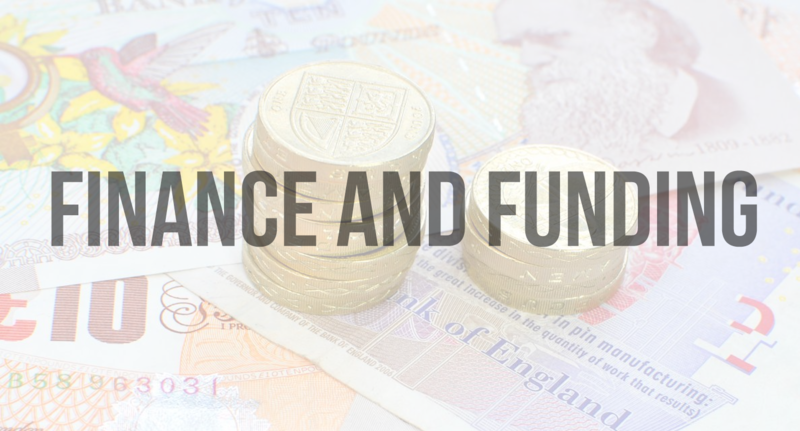 Grant amounts are available from £5,000 to £50,000. The average grant is expected to be around £25,000 and commercial organisations need to match fund this by 40%. What type of businesses they’re aimed at: LEADER will prioritise funding for micro-enterprise, though is also open to applications from small businesses (up to 50 employees). Your business must operate within the funding area (you can use the postcode checker here). When would be a good time/scenario to use them and why: Generally, LEADER funds are for capital only. An example of a good time to use this funding would be if you reside in the area and need to purchase a piece of equipment to reach new markets or fulfil demand. Please note applications close December 2018. Innovation is key to business growth, whether it's creating an exciting new process, product or service there is external funding available to help you innovate and take your business to the next level. Innovate UK: innovate UK is the UK’s innovation agency and provides networking collaboration and funding opportunities, business-led innovation and R&D. Current offer: Innovate UK’s funding scheme provides grants to help businesses and research organisations develop their innovations – from the proof-of market through to proof-of-concept and on to prototype development. What type of businesses they’re aimed at: Aimed at a UK-based business or research organisations that are seeking funding to research and develop a process, product or service, test innovation ideas or collaborate with other organisations. When would be a good time/scenario to use them and why: Innovate UK is perfect if you have a great idea for a product, process or service that is truly innovative but need finance to progress. Find out more: Check out the latest competitions and open funding application to explore which best suits your needs. R&D Tax Relief: R&D Tax relief supports companies who want to research or develop an advance in their field. It can even be claimed on projects that aren’t successful. Current offer: R&D tax relief provides funding towards developing an innovation that will lead to growth or an improvement in your business. Please note the project must fall within the set criteria. You can read more on this here. What type of businesses they’re aimed at: SME’s and large companies can apply. When would be a good time/scenario to use them and why: If you are working on or plan to work on an innovative project, this is a great way to de-risk your investment by claiming some of the development costs back. Crowdfunding has increasingly gained popularity in the UK. Businesses are using crowdfunding platforms to raise money, spread awareness and build a loyal customer fan base. Crowdfunding involves a large number of people contributing money to support a business, person or product. The money raised is often used to start, innovate or expand. Current offer: Crowdfunding is an excellent way to raise money and test a product idea without necessarily releasing equity from your company. Members of the public will ‘back’ a project in exchange for a ‘reward’ - check out Forbes list of most successful crowdfunding campaigns for some real-life inspiration. What type of businesses they’re aimed at: Crowdfunding is aimed at any company looking to raise finance. When creating a campaign, you’ll set the target amount you wish to reach. Please note that most crowdfunding platforms operate an ‘all or nothing model’ so be cautious when setting the amount, as if you don’t reach your target – you don’t get any of the money. You should also account for the platform fee you will pay if your project is successful – for a list of some of the top crowdfunding sites and an indication of their fees check out this handy comparison table. When would be a good time/scenario to use them and why: Crowdfunding is a great alternative finance option, however, it requires careful planning and execution. Kickstarter has an excellent guide on preparing and running a campaign. Export is a vital component to any business's growth strategy. Research shows that companies who export see 34% increase in productivity within the first year of exporting and are 11% more. likely to survive if doing business overseas (Department of International Trade). The demand is out there for your product or service, and external expert of advice can help access new markets. Department of International Trade: The Department for International Trade (DIT) helps businesses export and grow into global markets. DIT offers a catalogue of services and products depending on your business needs. Current offer: If you are new to export or wanting to expand into more markets DIT can help and support. DIT cover a wide range of needs from researching new markets, selling online overseas to grants for attending trade shows. What type of businesses they’re aimed at: This scheme is aimed at UK companies exporting or interested in exporting. You can read more on the services they offer here. When would be a good time/scenario to use them and why: If you are seeking expert external advice to understand how you can sell overseas and expand into new markets. UK Export Finance: This government scheme can help companies access the working capital to fulfil a contract, enable companies to take on additional contracts and increase turnover. It also offers insurance against the risk of not being paid or not being able to recover the costs of fulfilling an export order. Current offer: UK Export Finance is helpful for business starting or growing the export side of their business. By getting the right finance and insurance in place this scheme can enable your business to win export contracts, fulfil the orders and get paid. What type of businesses they’re aimed at: This scheme is aimed at UK companies exporting. You can contact your local export finance manager via this link. When would be a good time/scenario to use them and why: If you need you to ensure you have the right finance and insurance in place to ensure you can secure, fulfill and get paid for export contracts. Government funding and alternative finance can be a great way to start up or accelerate growth in your business. The list provided in this blog isn’t designed to be comprehensive, but rather a snapshot of some main schemes. If you’re curious to find out more about how funding can help your business, contact The Gloucestershire Growth Hub. Their expert advisors are on hand to simplify the process and provide the most up to date information.